Vibration Dampers There are 4 products. The first step in any automotive sound deadening project is using a Constraint Layer Vibration Damper - CLD. Apply one of our foil backed CLD sound deadening mats to automotive sheet metal to destroy resonance that leads to unwanted road, engine and exhaust noise. Per square foot our Damplifier mats give you more sound deadening material for your dollar than any other auto insulation company out there. When it comes to constraint layer damping mats,; nothing compares! 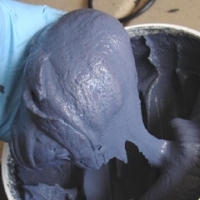 We designed Damplifier to compete against the best and most popular constraint layer dampers (CLD) the industry has to offer while weighting and costing much less!Compare the weight & foil thickness to everything else, and you will see, Damplifier is the best automotive sound deadening value in its class! For those that want a customisable thickness to their Spectrum, we've added the activator bottle as a separate item for your convenience. 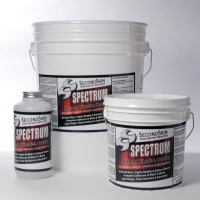 Spectrum Sludge uses a 1:1 ratio of activator to Second Skin Spectrum (that is to say, 1 activator bottle per 1 Gallon tub of Spectrum).